Yellow Pine is an unincorporated census-designated place in Valley County, Idaho, United States. As of the 2010 census, its population was 32. Yellow Pine has an area of 0.995 square miles; 0.984 square miles of this is land, and 0.011 square miles is water. Although unincorporated, the community has its own zip code, 83677, where overall 44 people live on a total land area of 174.269 square miles, according to the 2010 Census. Yellow Pine is a 247-acre “inholder” community in eastern Valley Co., located on the East Fork of the South Fork of the Salmon River, approximately half a mile upstream from its confluence with Johnson Creek. 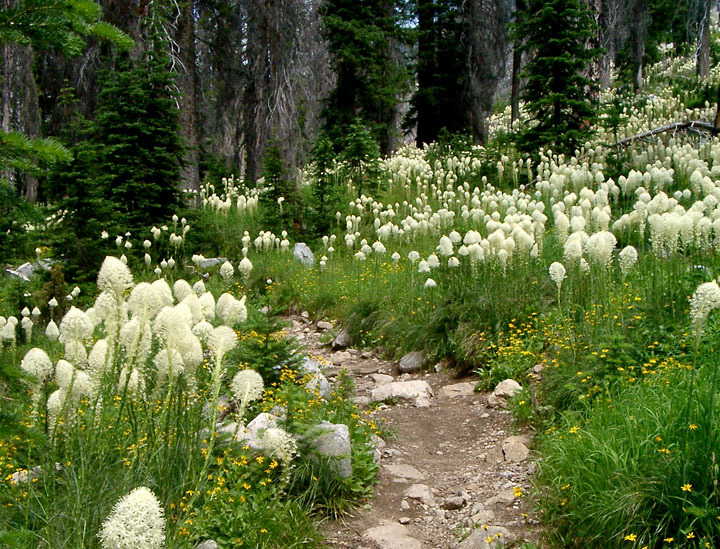 It is bounded on the north by the Payette National Forest and on the south by the Boise National Forest. Located at 4,802 feet, Yellow Pine has historically served as the trade center for the larger Yellow Pine basin mining area, including Stibnite. Many of the early miner-settlers came from Warren. In 1906 Albert Behne established the first post office and mail service. Behne had a dream. A grower of roses who loved classical music and opera, he envisioned a thriving city complete with street cars. In 1924 he received the patent on the 47½ acres where the village presently exists. In 1930, at the age of 76, he platted the original Yellow Pine townsite.